Remote Arctic tundra is a place where polar bears are often the star of the show. 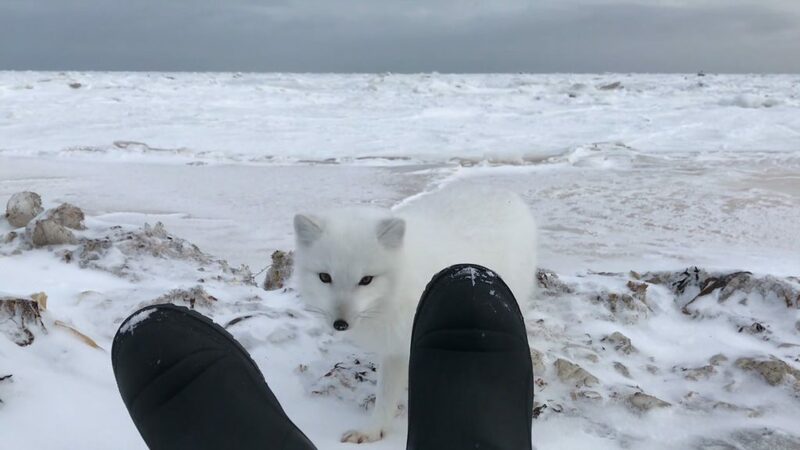 To the delight of guests on Polar Bear Migration Fly-In Safari in November 2017, a furry Arctic fox stole the spotlight. 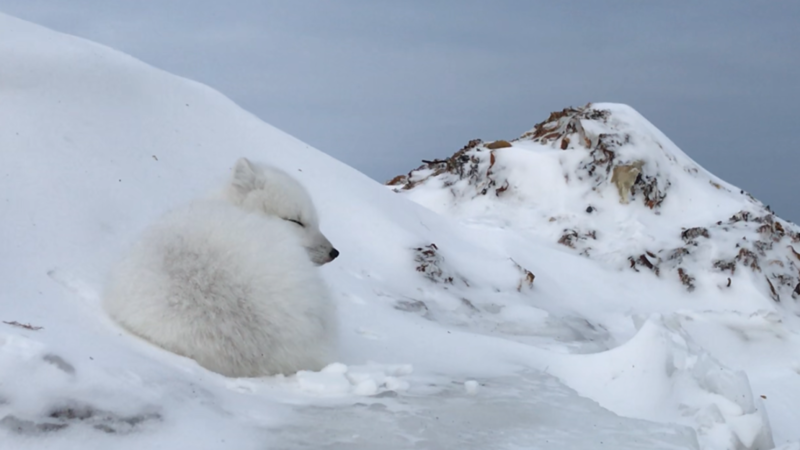 While out taking photos of sea ice, our very own Dave Briggs, Senior Expedition Leader at Arctic Kingdom had a rare, up-close and personal encounter with this often-skittish animal. A wildlife moment so special Briggs called it “magical”! Just a short flight north of Churchill, Manitoba, and near Arviat, Nunavut, this safari is located on the west coast of Hudson Bay. Our Polar Bear Cabins are located on remote tundra in an area referred to as “polar bear alley”. In October and November polar bears can be seen roaming the coast waiting for the freeze up. It’s no surprise that guests travel here with hopes of seeing polar bears up-close. While polar bears will continue to be a fan favourite, guests often leave with a newfound love for Arctic fox. 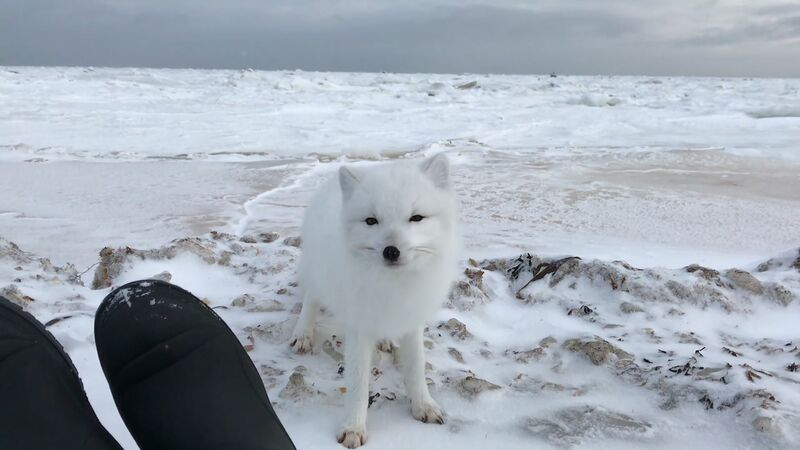 Arctic fox, often solitary animals, are also known for their cheeky behavior, often called the “clowns of the tundra.” It isn’t often that people get to see them this up close. This fox, affectionately named “Spot” by the group, for the grey marking on his hind quarters, quickly became a highlight of this trip. The Arctic fox doesn’t hibernate so in the winter it relies on its winter coat, which is the warmest of any animal found in the Arctic. In fact it takes -70°C (-94°F) before they begin to shiver. After a short while Spot became curious and decided to approach, seen in the video. The whole encounter lasted about half an hour. 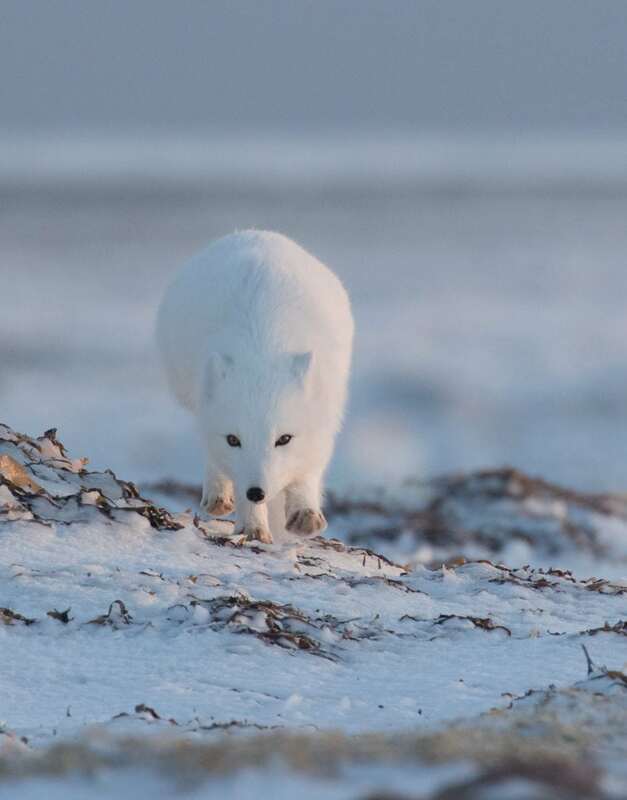 Get your chance to experience Arctic fox on Polar Bear Migration Fly-In Safari.